What is 6063 Aluminium Angle? 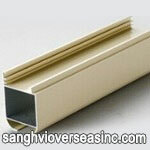 6063-T52 Aluminum Angle is excellent for outdoor use and architectural trim due to its superior corrosion resistance. 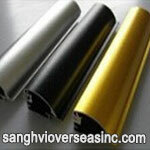 6063-T52 Aluminum is a softer and more formable alloy than 6061. The tensile strength of 6063 aluminum is 27,000 psi, yield strength is 21,000 psi and shear strength is 17,000 psi. The 6063 aluminum angle is mainly used in applications for molding and trim within architectures, door construction, windows, furniture and similar items. 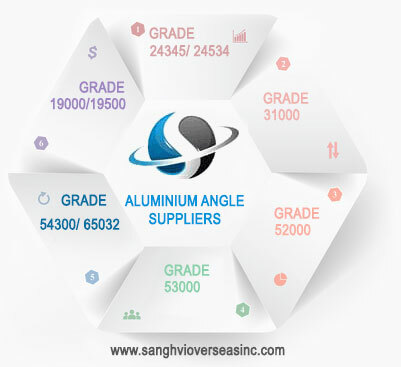 6063 Aluminium Extruded Angle: Aluminium 6063 Extruded Angle, formed by hot extruding through a die, is available as a or structural grade product. 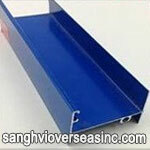 Sanghvi Overseas Incorporation is the leading manufacturer and exporter of 6063 Aluminium Angle, 6063 Aluminium Extruded Angle that are utilized in divers industries such as aerospace, medical, electronics, firearms and industrial. Supplier of ASTM B308 6063 Drawn Aluminum Alloy Angle in Tempers manufactured in accordance with international standards ASTM B308, ASME SB308, check 6063 Aluminium Drawn Angle. 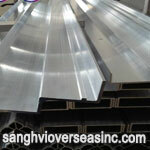 Wholesale Trader of 6063 Extruded Aluminum Angle offered by Sanghvi Overseas, Mumbai, India. 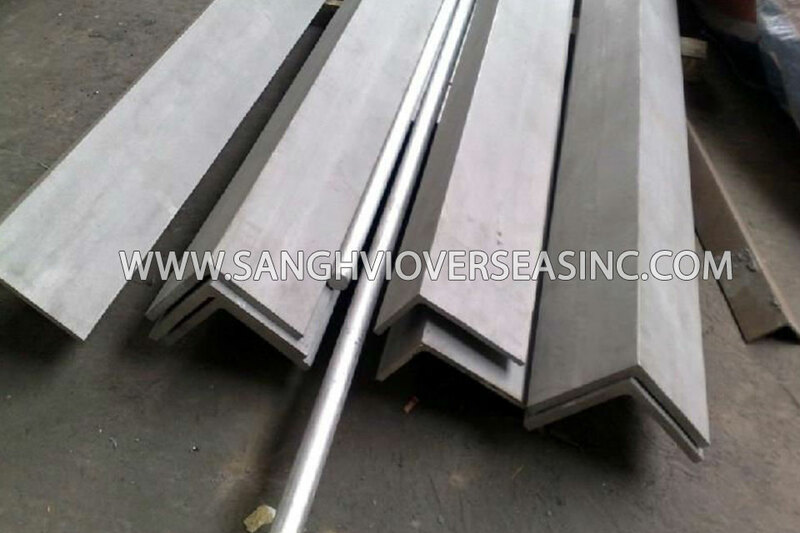 Stockist of ASTM B308 6063 Extruded Angle, ASTM B308 6063 Aluminium Extruded Angle, 6063 Aluminium Extruded Angle, 6063 Mill Finish Aluminium Angle, ASTM B308 Aluminum Alloy Angle, Jindal/ Hindalco Aluminium Angle in India. 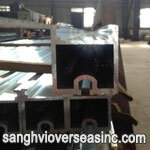 We Export Aluminium 6063 Angle to Singapore, Indonesia, Ukraine, Korea, Thailand, Vietnam, Saudi Arabia, Brazil, Spain, Canada, USA, Egypt, Iran, India, Kuwait, Dubai, Oman, Kuwait, Peru, Mexico, Iraq, Russia, Malaysia, etc. 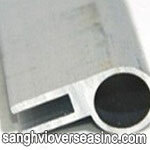 6063 Aluminium Angle is the most widely used form of Industrial Aluminium. Aluminium 6063 Angle find applications in various industries such as manufacturing cans and packages, transportation, home appliances, building and construction.